2NDS. 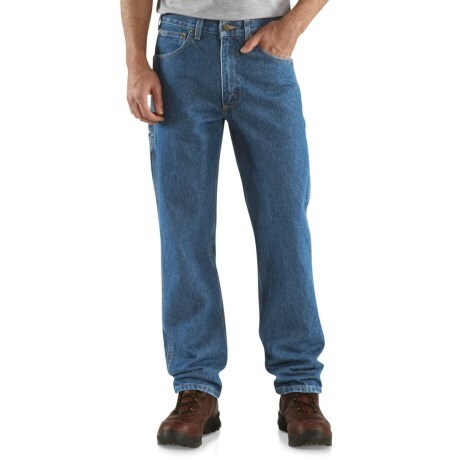 Pull on these Carhartt carpenter jeans and work all day in relaxed fit comfort. Even with a full load of tools and all those unusual body positions, your jeans will work with you, not against you. Available Colors: DARK STONE WASH, STONE WASH, DARKSTONE.